Are you on the go and too busy to exercise? Do you need to lose a few pounds? Xtreme Healthy Lifestyle™ and living a healthier life. Finally, a Smart Drink That Tells Your Body to Burn Fat & Energize at The Same Time! MADE WITH NATURAL FLAVORS AND OUR NATURAL LOW GLYCEMIC SWEETENER, with only 15 Low Glycemic nutrient-dense calories and a special de-bloater to help get rid of extra water-weight. 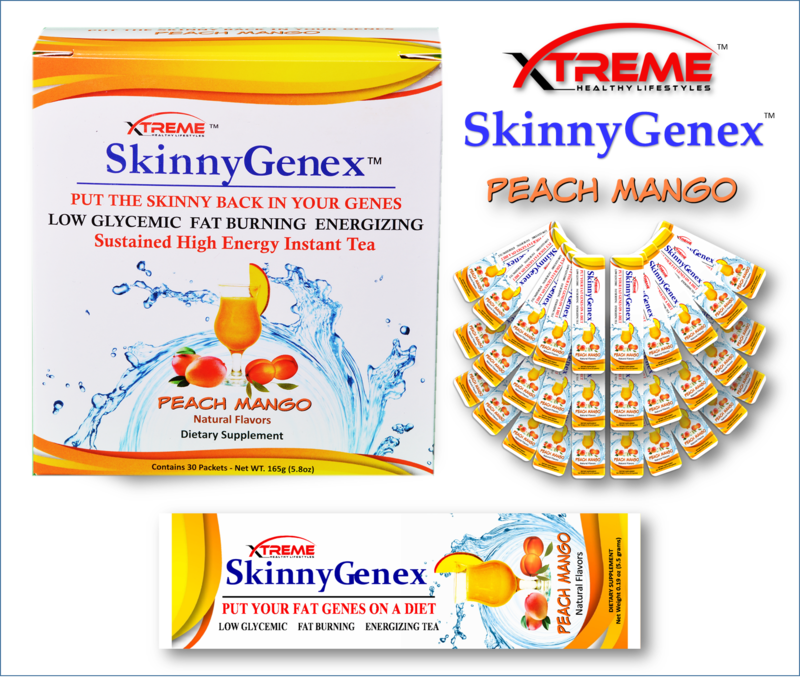 The SkinnyGenex™ Fabulous-Flavor systems, Peach Mango and Pineapple Splash, are truly unique, and took two years to perfect. Some important nutrients taste really bad, but we refused to leave them out, because they help with balanced energy levels and homeostasis. What’s the point of making a thermogenic, fat burning, energy drink, if it tastes bad? So, we had to make them taste good – and they do. Today is the day, that you stop blaming yourself for weight gain and take control. Self-control is a myth! Self-control is dictated by the brain, and you can’t outsmart the brain. THAT’S WHY DIETS ULYIMATELY FAIL – because there is no such thing as will power, and that’s clinically proven. 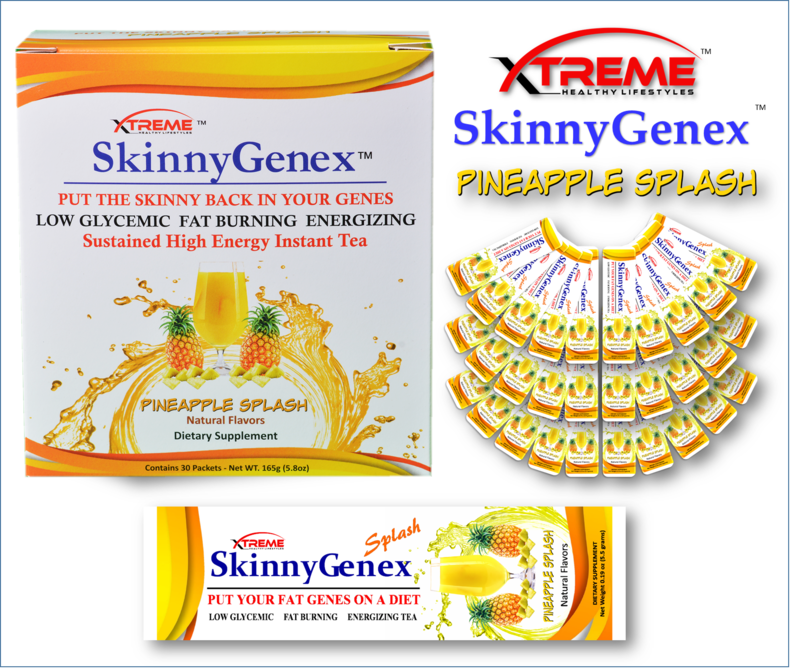 Backed by 30-years of clinical research, SkinnyGenex™ received a United States Patent, and the formula was awarded Breakthrough Product of the Year by Success Magazine and featured on the front page of the Wall Street Journal. If you are having trouble viewing this 9 page document, Click Here to the PDF! If you are having Trouble Viewing this Document, Click Here to the PDF!